We investigate extensive quantitative trait variation (dewlap hue, colour pattern, dorsum hue, body proportions and scalation) in the Martinique anole across eight transects representing nascent parapatric ecological speciation, nascent allopatric speciation, and allopatric divergence without sufficient genetic structure to suggest speciation. Quantitative trait divergence can be extremely large between adjacent sets of populations, but with one exception this is associated with difference in habitat rather than past allopatry. Nascent ecological speciation shows the greatest level of quantitative trait divergence across all character sets including those implicated in natural, as well as sexual selection. The sole example of nascent allopatric speciation is associated with fairly strong quantitative trait diverge among most character sets, but not the set most implicated in natural (rather than sexual) selection. 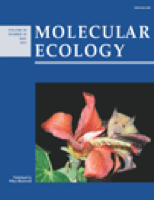 The role of sexual selection in ecological speciation is discussed, both in terms of female choice with assortative mating, and male-male competition with condition-dependant sexual signals.